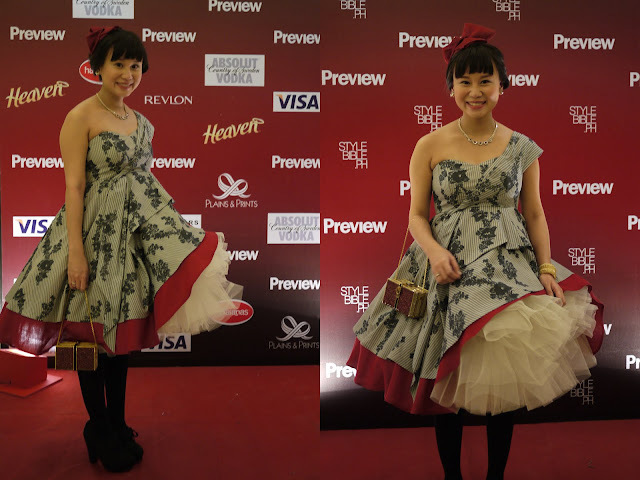 Here's what I wore to the Preview Ball. I totally love what Mich created for me. I don't look pregnant at all! Hahaha. It's so cute and poofy! I'm super happy that my girls came to support me and my dear husband too. He's my photographer for the night though I don't think he did such a great job though. Hahaha. with the cutest girl ever! Garovs! Oh and I super love my Revlon lipstick loot!!! 18 colours! How cool is that? i looooove your dress!!!! props to Mich Dulce for creating this wonderful piece. I can see the MCQ inspiration here. Just replace the grey floral material with tartan and it's so MCQ already. wish i can see the details of your shoes though. 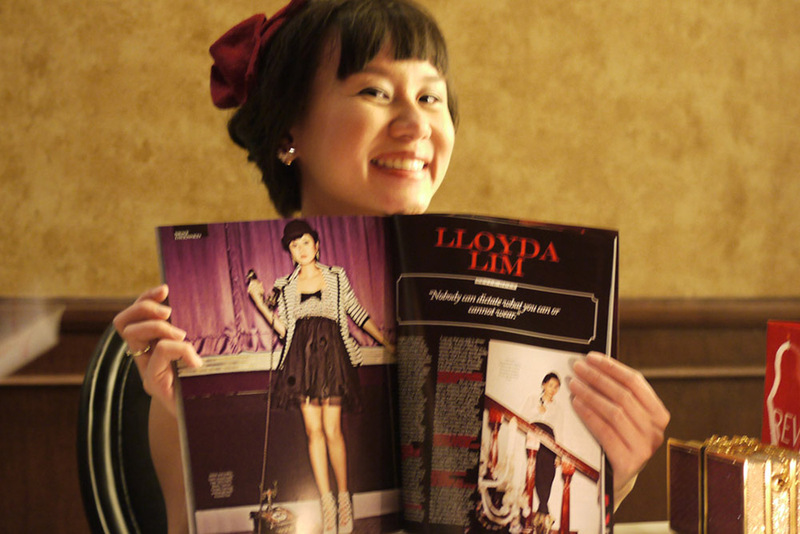 Anyhoo, congrats again Lloyda! i wont wait na for Summit to send the magazines to our office. I'll buy na kaagad. haha! Wow love your blog and really cute dress! Mich did an amazing job! You really don't look pregnant! I like the fascinator and the tights + oxfords combo too. : ) Your dress totally stands out, Lloyda. In a good way, of course. Congratulations on getting chosen and on your very enviable loot! Hope to see all those colors on you in the future. Haha! Congrats on making the list and i can't wait to see more awesome outits from you! hey gorgeous! congrats on the preview list! you totally deserved it. i first noticed you in chictopia with your crazy beautiful wedding gown. naloka ako ng slight. hahaha. You look so beautiful and that dress is beyond stunning!!! I think it's perfect for you- it hides your baby bump so well and when I see that dress- I'll automatically think "that's Lloyda's!" 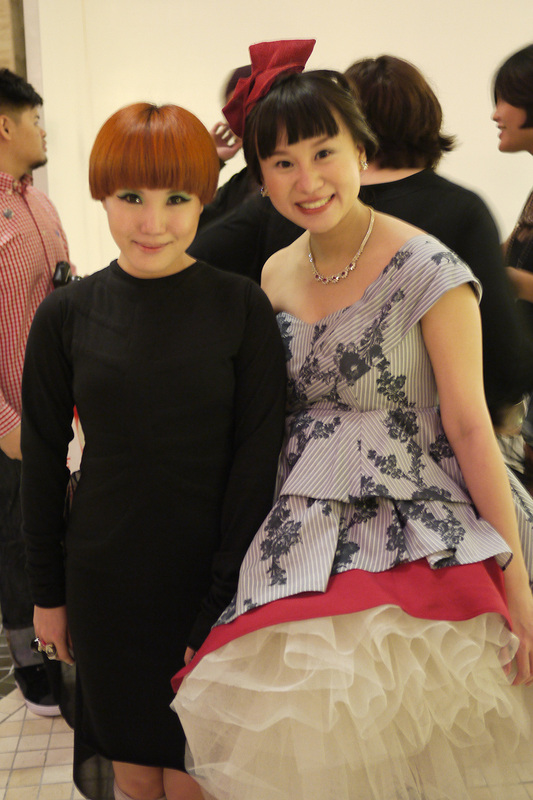 Totally love your style and penchant for Japan, I'm so happy for your success! It's scary I somewhat resemble you when I wear my bangs down. I look at some of your photos and I sometimes wonder if I'm looking at myself! Lol.